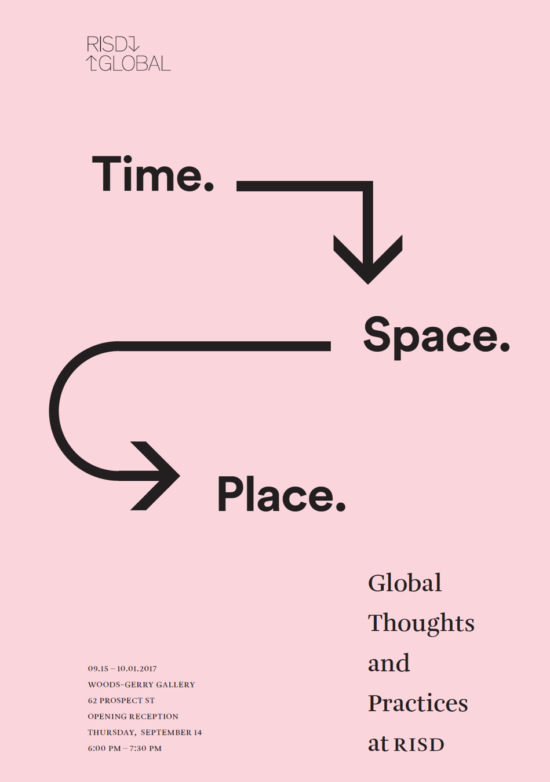 All faculty are invited to view the RISD Global exhibition Time. Space. Place: Global Thoughts and Practices at RISD at Woods Gerry. The exhibition is open through 1st October, 2017 and it includes work by students involved in RISD off-campus global learning programs and partnerships over the past year. Exhibition, international, RISD Global, Time. Space. Place.